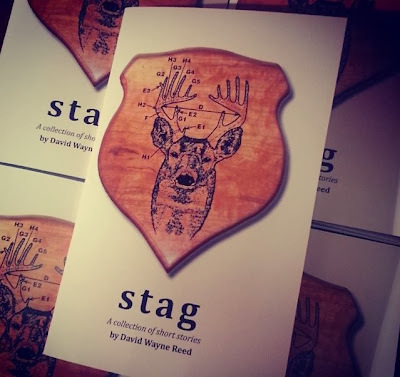 Stag is a collection of twelve stories. Perfect for a stocking stuffer! Holding Still, Socialite Darwinism, Elfin Boots, Outside the Box, Cul de Sac, Redo, The Cherub, Attention Must Be Paid, Delicious Closet Queen, Taking Laps, King George River and Low Expectations. In this episode I talk with playwright, essayist, columnist, actor, director, and former college roommate, David Wayne Reed. David was a columnist for the Liberty Press in Kansas City as well as KC Magazine (now This is KC). He’s written several stage plays, including Mother Trucker and Mother Trucker 2: Ride On, which he also directed. While attending a month-long artist residency at the Seaside Repertory Theatre in Santa Rosa Beach, Florida, he wrote and presented his one man show “Jolly Rancher,” which he is currently turning into a memoir about growing up a gay farm kid in the middle of Kansas. Some of the pieces from that memoir appeared as columns for Liberty Press and KC Magazine, and one piece, “Taking Laps” was recently published in the fall 2013 issue of Midwestern Gothic. We talk about all of that and more, including plans to sit down for a long overdue drink.